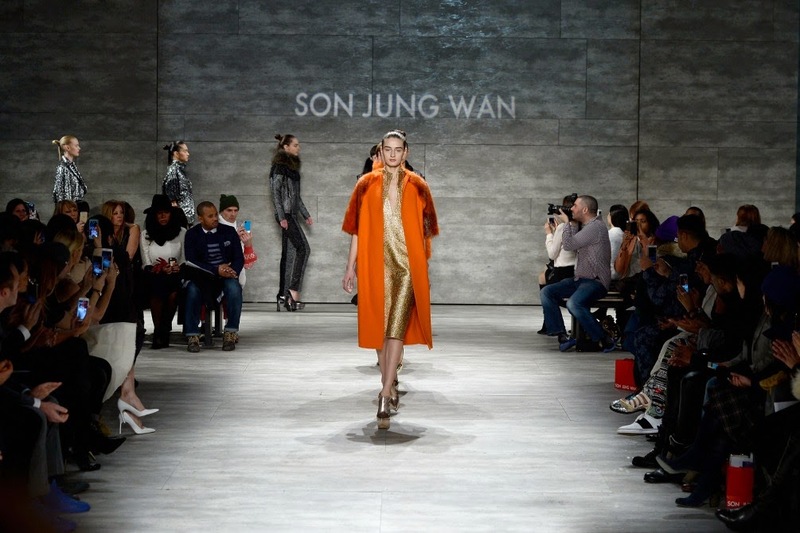 Another show that debuted on Valentine's Day: Son Jung Wan, filled with romance partnered with a bit of glitz and glam. The metallics paired with the the bold orange and jewel tones were truly exquisite! Each time I see her collections, I can easily see the love she puts into her work along with the time in making outcome of the design impeccable. 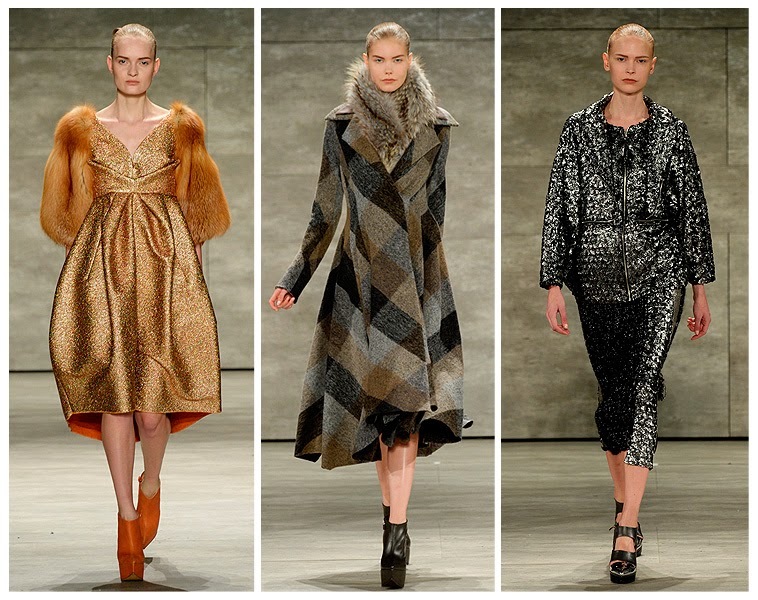 The collection was bold and playful with figure forgiving structure with looser fits and full coats. Inspired by the romantic MGM films of the 1950’s and the fashion photography of Gordon Parks the designer presented a collection best described as retro-meets-modern; chock-full of glamour with a touch of romance. Fabrics consisted of merino wool and handcrafted knits in unusual color combinations. 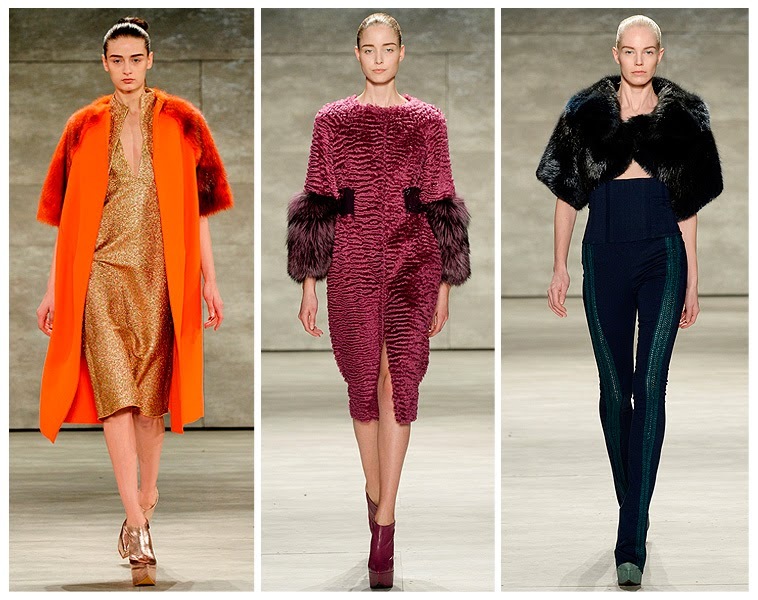 Lively metallics, leather and multi-colored furs brought forth the relaxed yet chic mood of the era. 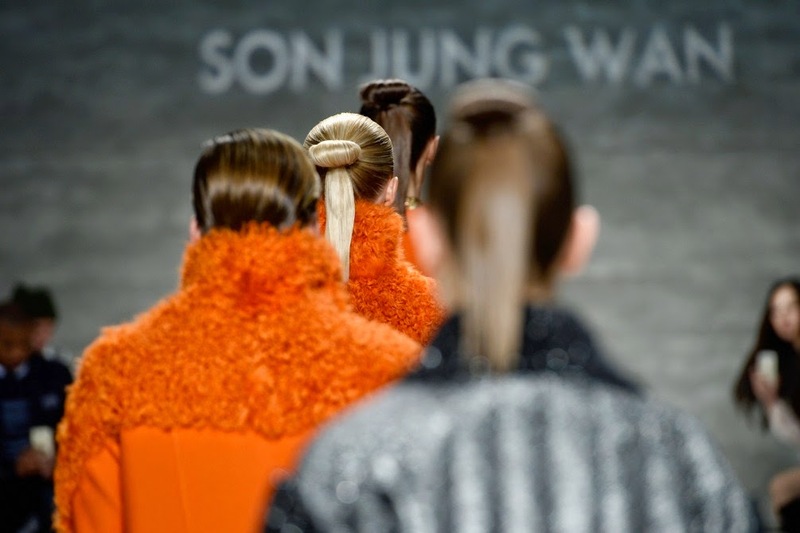 Standouts included wool coats in vibrant orange, adorned with either a fox fur collar, lamb fur details or beaver fur sleeves. Turquoise gaucho pants and voluminous skirts gave way to the finale look, a mint green, sequined cocktail dress, which references the effortless evening look of the fifties. 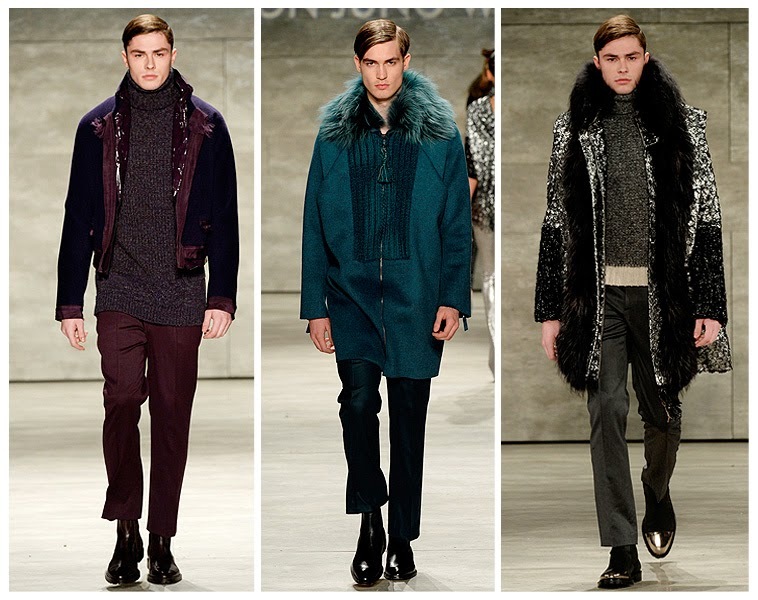 A selection of menswear included cashmere and wool coats paired with rich colored trousers to complement the womens’ designs, exhibiting a cohesive line.